Первый прототип V1 был облетан в июле 1938 года - машину пилотировал сам Курт Танк. Самолет, получивший регистрацию D-OPVN, почти не отличался от серийных машин. Только что собранный Fw 189A-1 на аэродроме Прага-Кбелы. 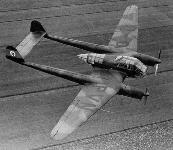 FW 189A-2 из 1(H)/31. 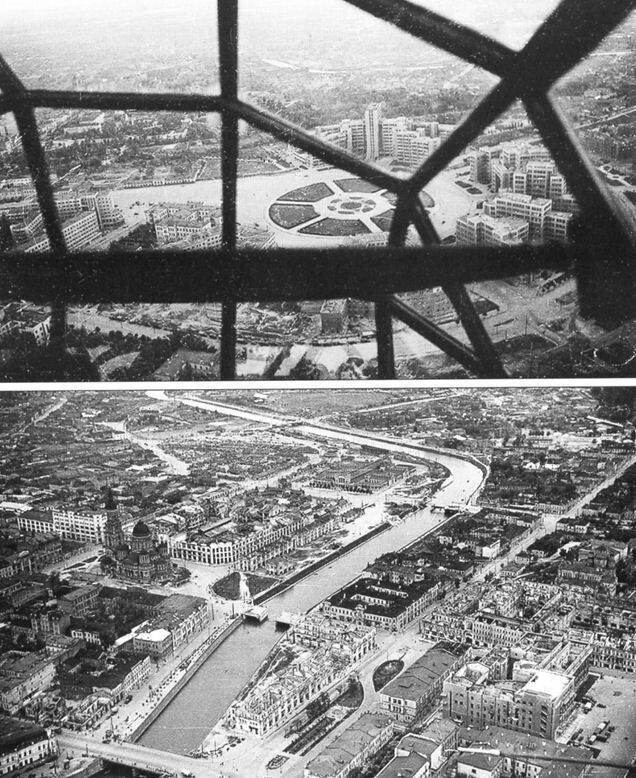 Восточный фронт, лето 1942г. Такие самолеты играли важную роль на Восточном фронте. 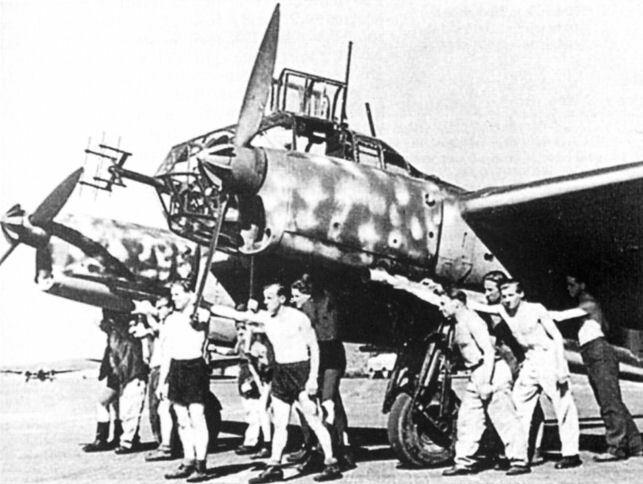 This FW 189A has just made its 2,000th flight of the Gruppe. 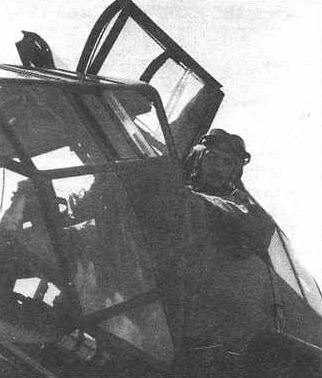 Note the pilot's seat and armored head rest as well as the upward sliding hinged entrance doors built into the glassed area of the canopy. Болгарские "Циклопы" из 343-го ято. Лето 1944 г.
Разведчик-корректировщик "Фокке-Вульф" FW.189 по кличке "рама" в парке Горького в Москве. 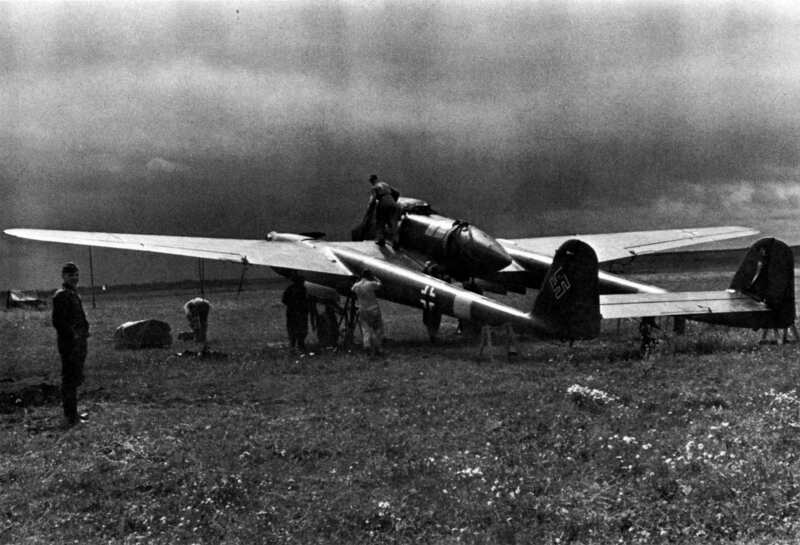 With the dark clouds on the horizon indicating a storm front, ground crewmen go about tieing this FW 189 down and covering her vulnerable areas with canvas. 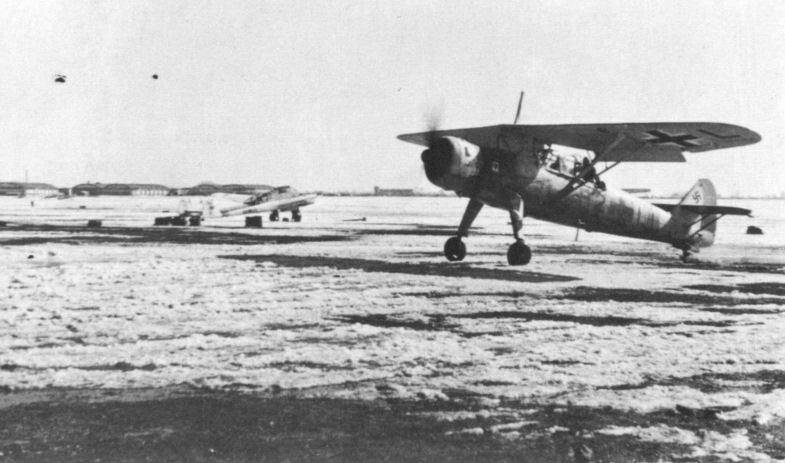 The same aircraft, P2+LL, in winter camouflage. 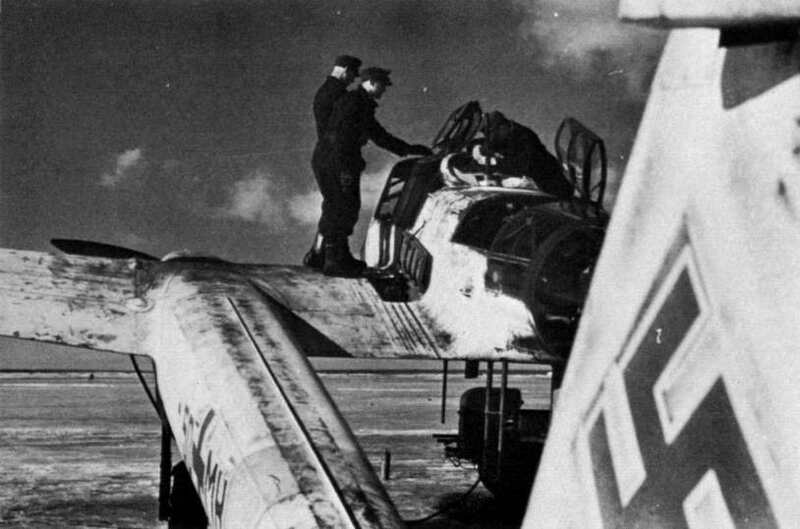 The aircraft in the background is a Focke Wulf FW 189, designed to replace the Hs 126, but both types operated side-by-side until the breakdown of the Luftwaffe's supply system. 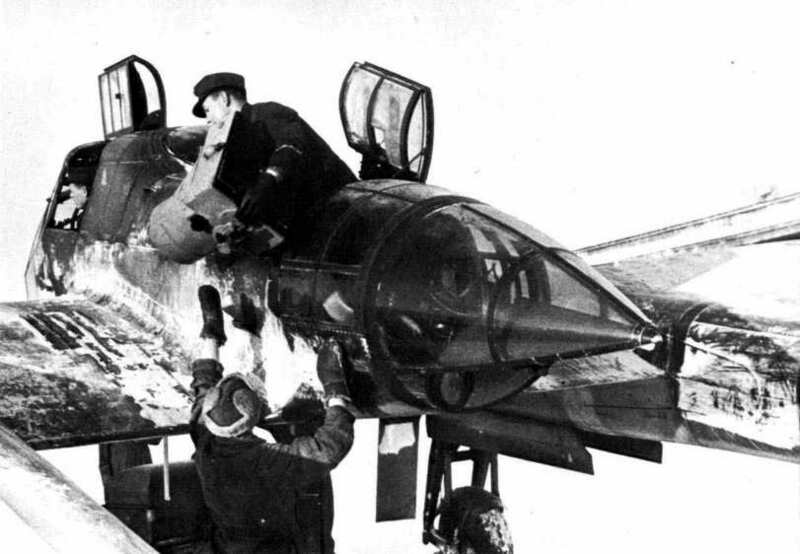 Ground crewmen in their characteristic black work uniforms prepare this FW 189A-2 for a flight. 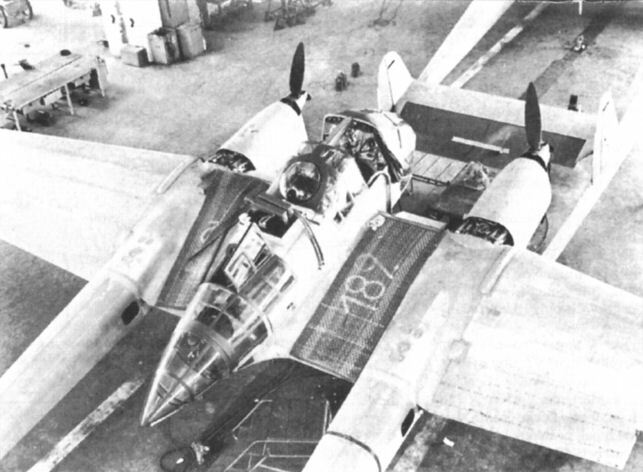 Note the open entrance hatch in the rear cupola and the open machine gun access panel on the wing root. 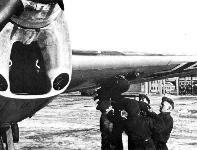 Armorers prepare 110 lb. 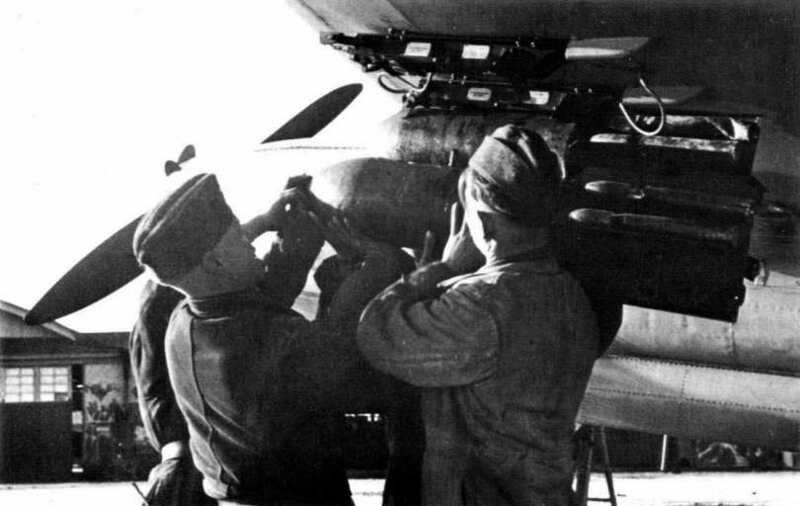 bombs for mounting under the wings of a FW 189A. 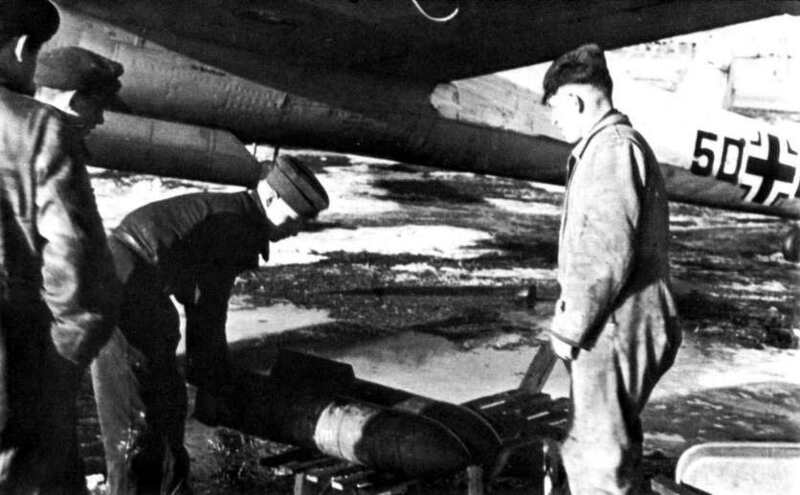 With one bomb already attached, the armorers lift the next one up to its shackle. 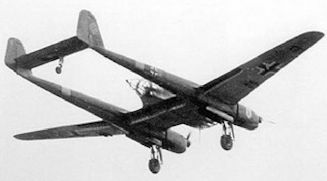 The FW 189 could carry four such bombs. Подвеска 50-кг бомб. 1943 г. 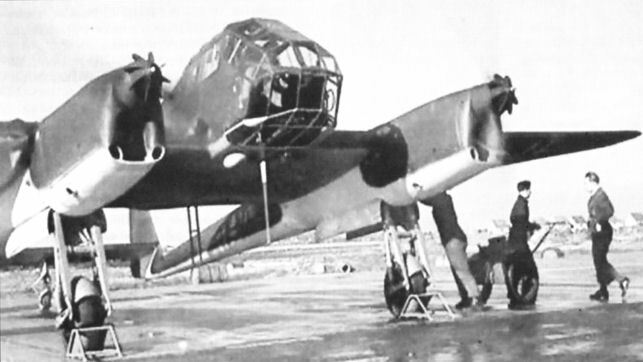 After attaching the bomb to its rear shackle, it is then hooked to the front shackle. 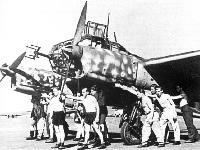 This aircraft bears the markings of 2 (H)/31, a short range reconnaissance group. 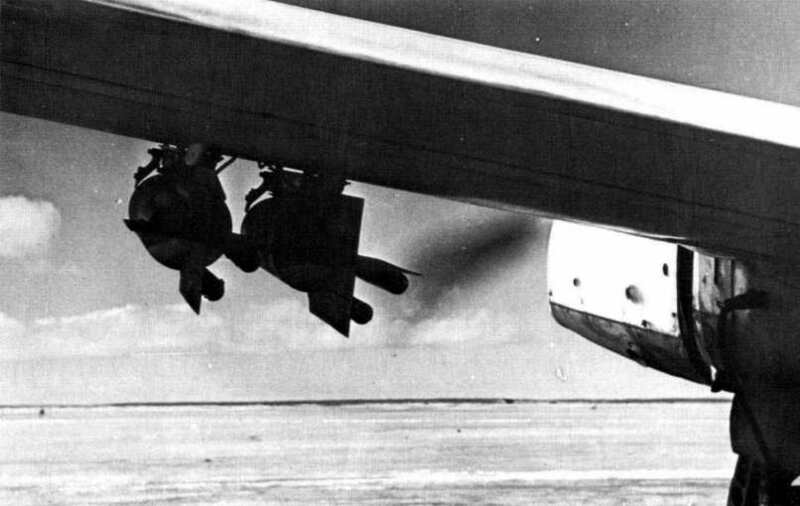 After the bomb has been attached to the ETC 50 bomb rack, the electrical release leads are checked so that each bomb will drop free when the pilot presses the release button. 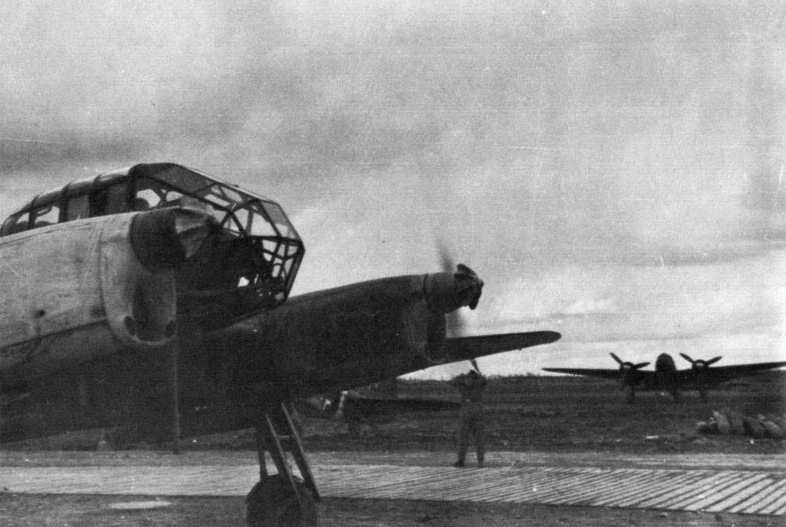 Bombed up, warmed up and ready for take-off. 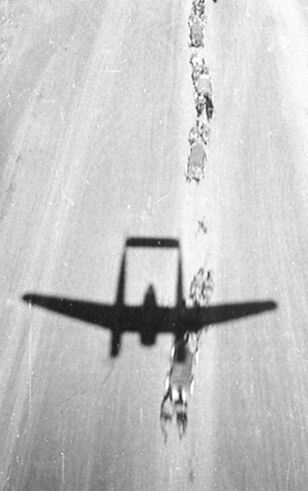 Note the lead from the auxiliary power unit running into the rear of the engine. 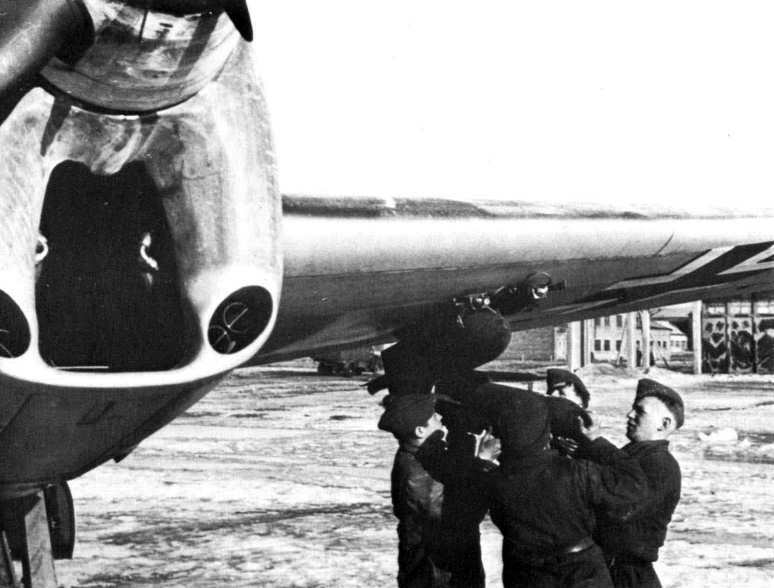 Ground crew men hurry to finish attaching supply containers to the wings of this "Uhu" as the auxiliary power unit on a sled mounting is pulled away. 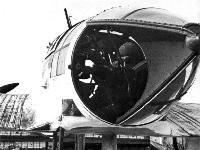 In this photo, the crew chief is removing the canvas covering from the propeller hub. 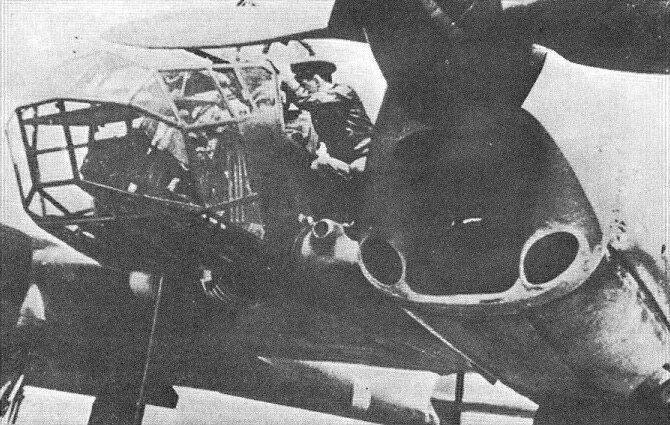 Note the canvas stuck into the engine intake which has not yet been removed. 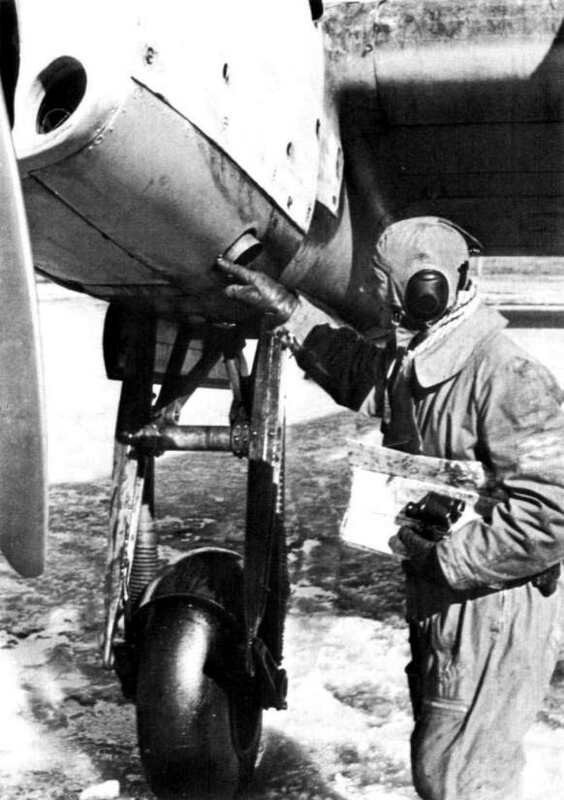 The crew chief of this FW 189 has just removed a protective canvas covering from the engine. 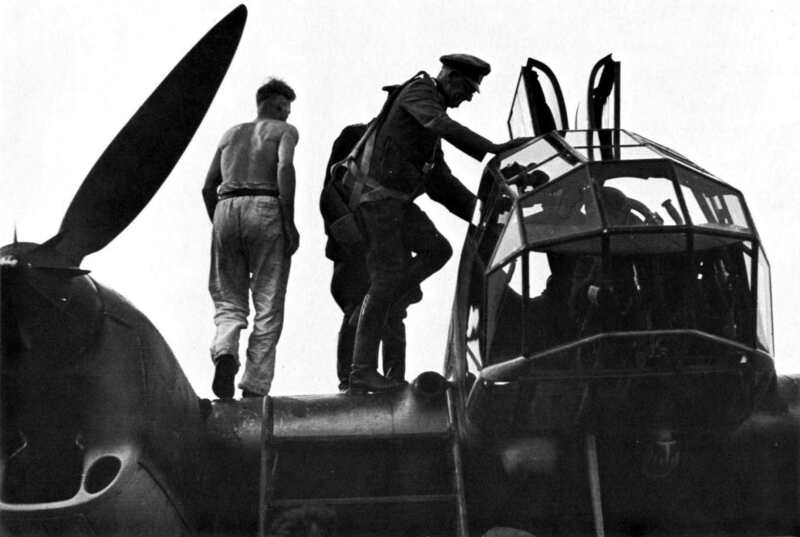 Ground crewmen work on the Argus As 410 engines of a FW 189A. 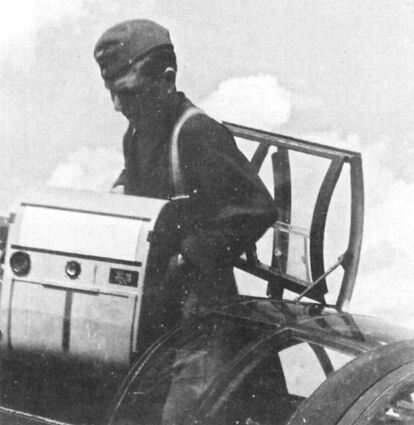 A FW 189A runs up its engines before a reconnaissance flight. 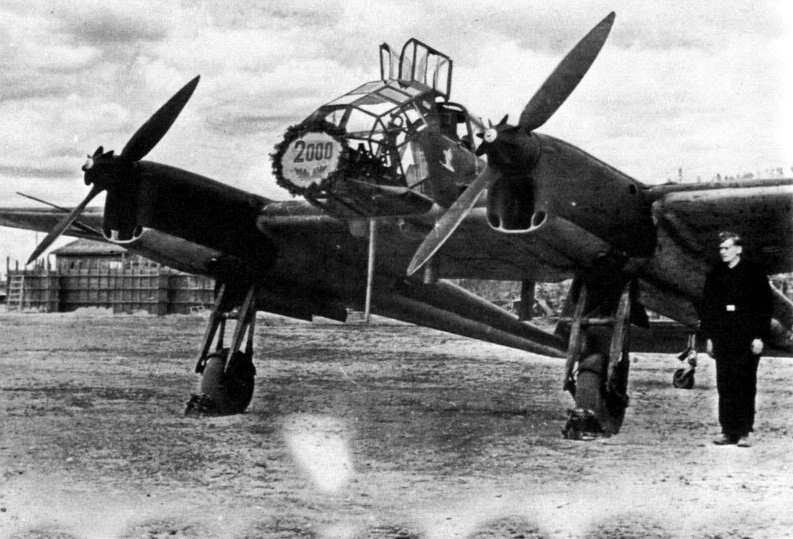 Note the Ju 88s in the background, the stack of bombs on the ground and the ground crewman trying hard not to lose his hat. "Рама" взлетает с размокшего во время оттепели ростовского аэродрома. Январь 1943 г. "Филин" являлся фактически универсальной машиной и завоевал высокую популярность в войсках. Управление самолетом - простое, а остекление большой площади обеспечивало экипажу великолепный обзор, хотя иногда появлялись блики от наклонных панелей остекления носовой части гондолы. 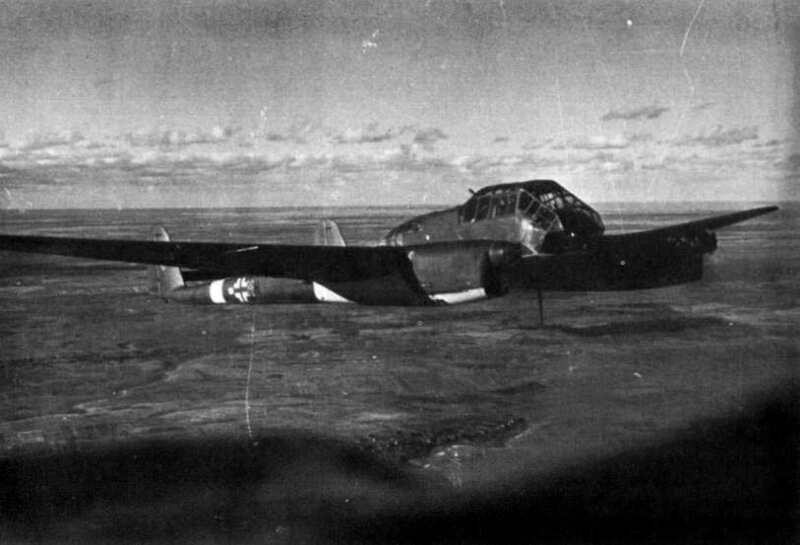 A FW 189A flies over the Russian Landscape. 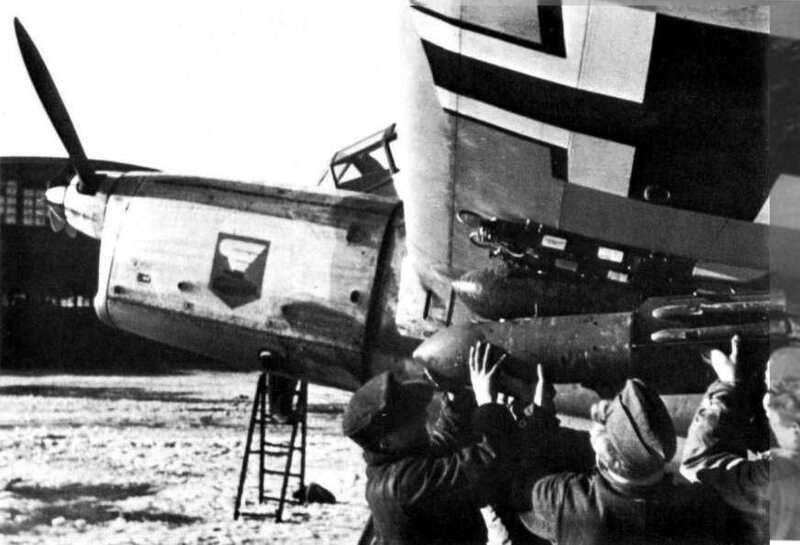 The yellow bands around the engine booms were very characteristic of Luftwaffe aircraft operating on the Eastern Front. Конструкция Fw 189 выглядела изящной, особенно крыло и хвостовые балки, но в целом машина была весьма надежной, с прочной конструкцией, а о боевой живучести самолета на фронте ходили легенды. Хотя Fw 189 Uhu не соответствовал традиционной в то время концепции, полагавшей, что тактический разведчик должен быть выполнен по схеме одномоторного высокоплана, ему удалось зарекомендовать себя во время службы. 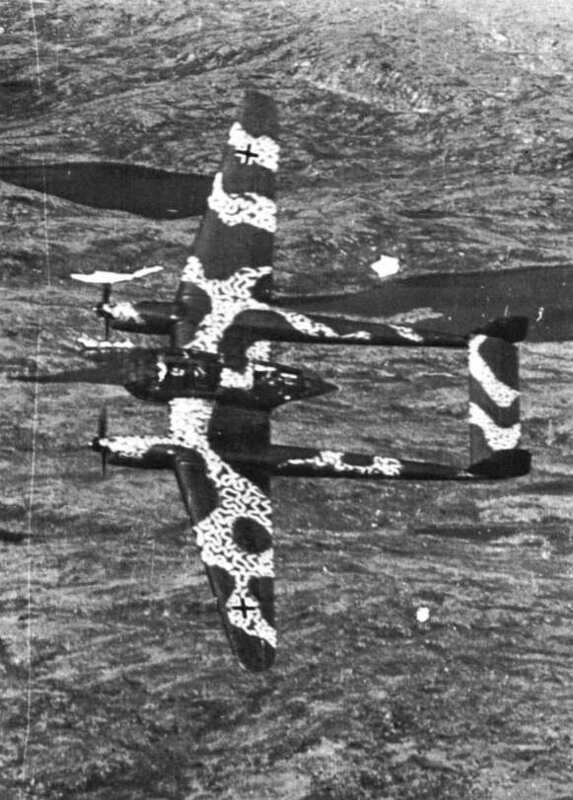 This "Owl" bears a combination shadow-shaded wave mirror camouflage pattern over its original green on green "splinter" camouflage. 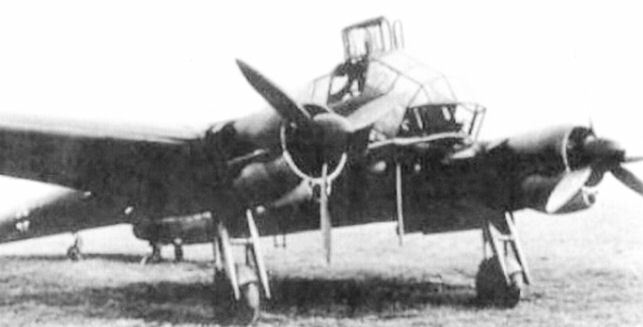 Снимки Харькова, сделанные с борта Fw 189A-1. 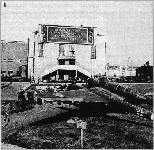 1942 г. 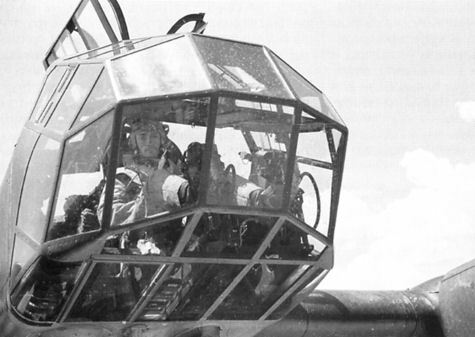 The FW 189 also served as personal transport for many high-ranking officers. 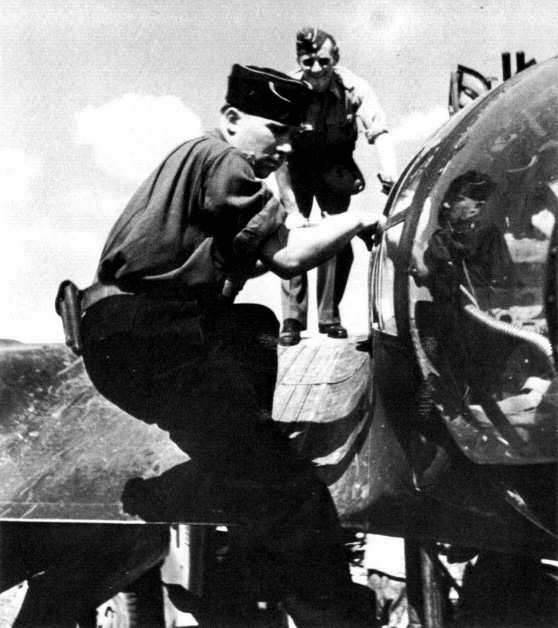 Here, an Army General prepares for a flight. 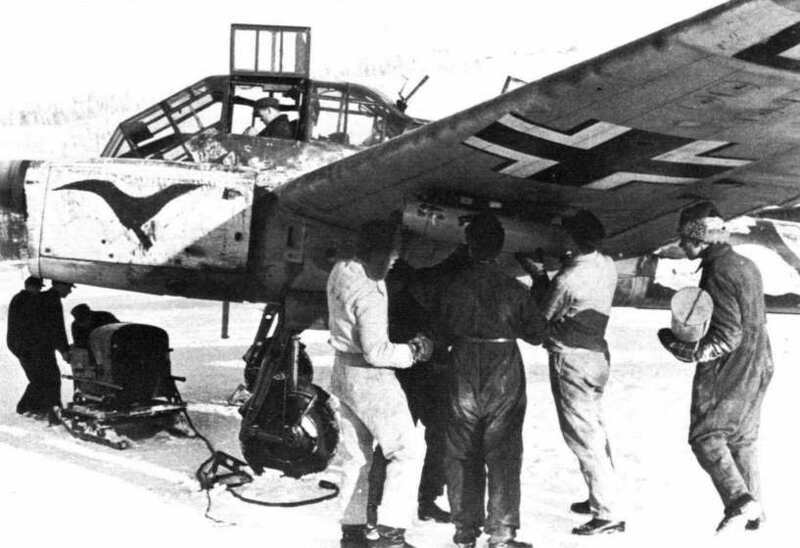 Л-т Эрнст Ортегель (Ernst Ortegel) в кабине FW 189 из 4.(H)/10. 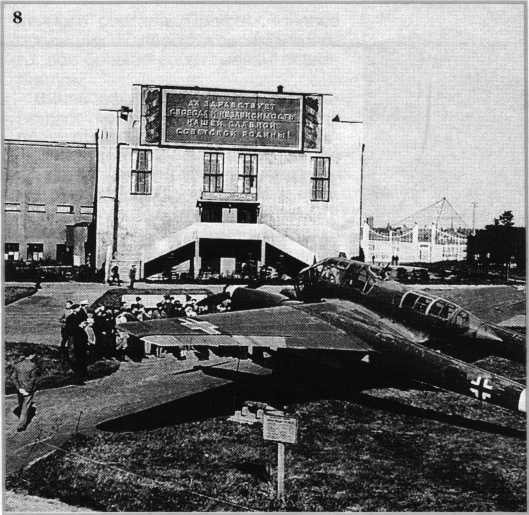 В мае 1942г. подразделение базировалось на аэродроме Харьков-Северный. 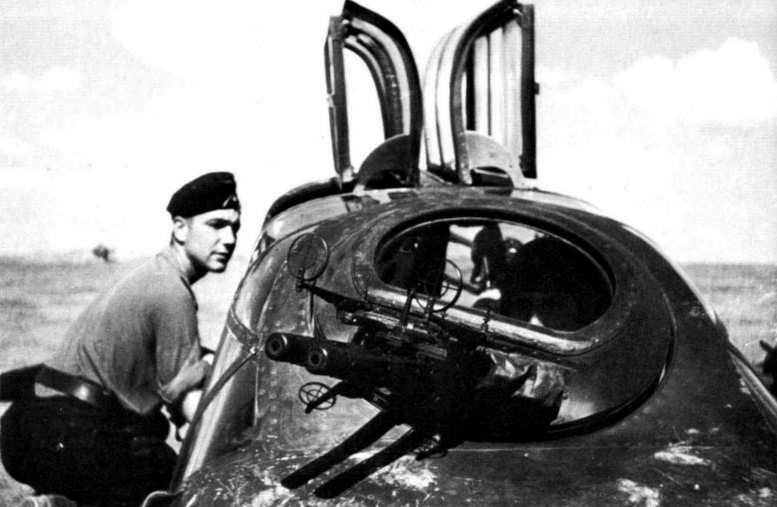 It is obvious that this tank corps officer feels more at home on the ground than in this aircraft. 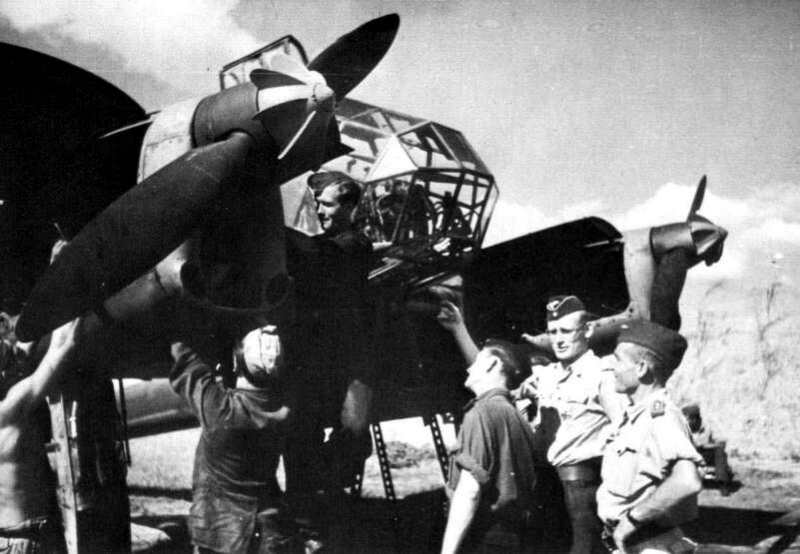 Prior to take-off, the pilot of the airplane speaks with some of the Panzer crew members. Back home safely. 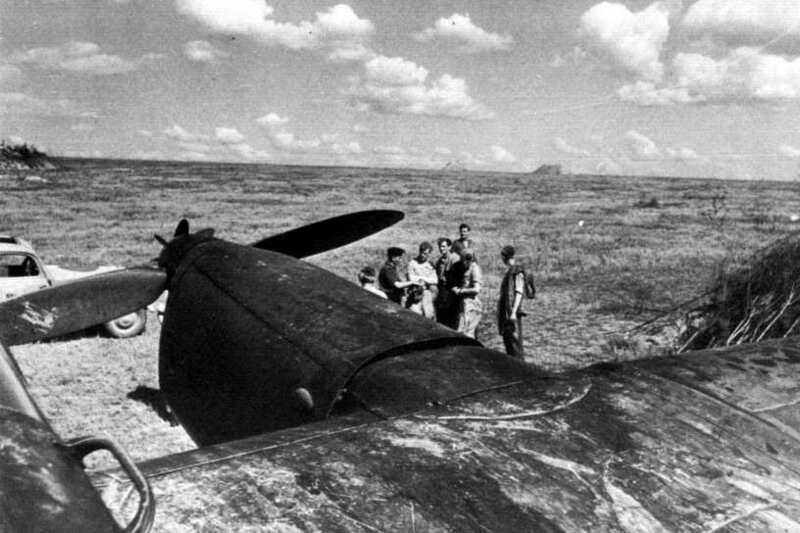 The pilot points to a token of affection from the Soviet troops he had photographed earlier. 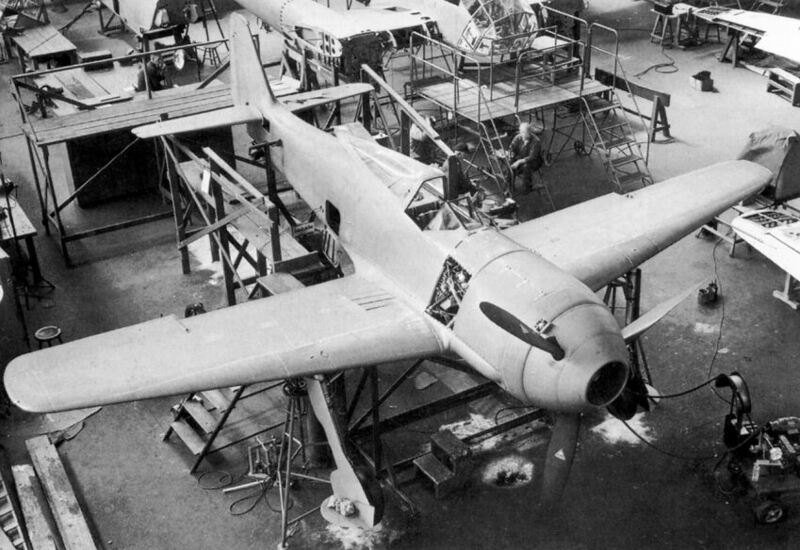 The FW 189F series aircraft featured more powerful Argus As 411 engines as well as a twin MG 81 mount called MG 81Z (Z for Zwilling or twin) in both the rear position and the dorsal position, pictured here. This view shows to advantage the rear glassed in portion of the FW 189, which could be rotated by the gunner to allow his guns an upward, downward or sideward field of fire. 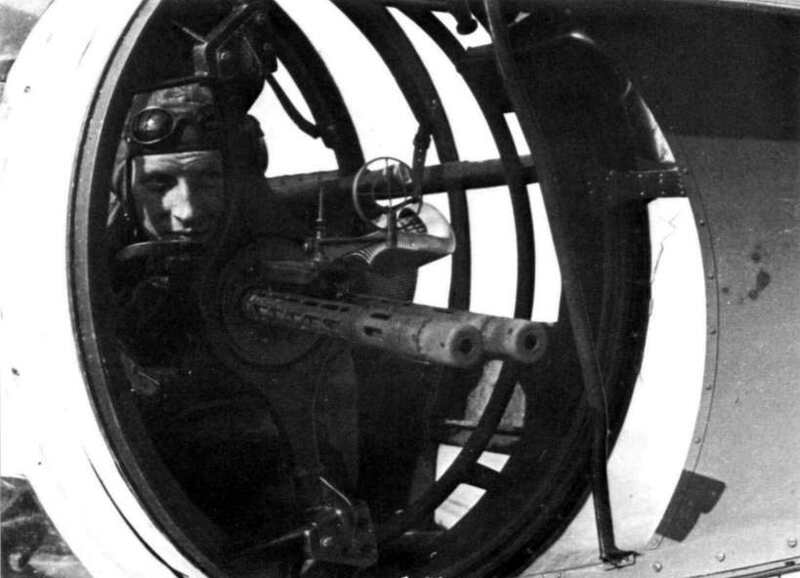 The rear gunner of FW 189F-1 behind his MG 81Z mount. Note the belt feed apparatus to the right of the guns. 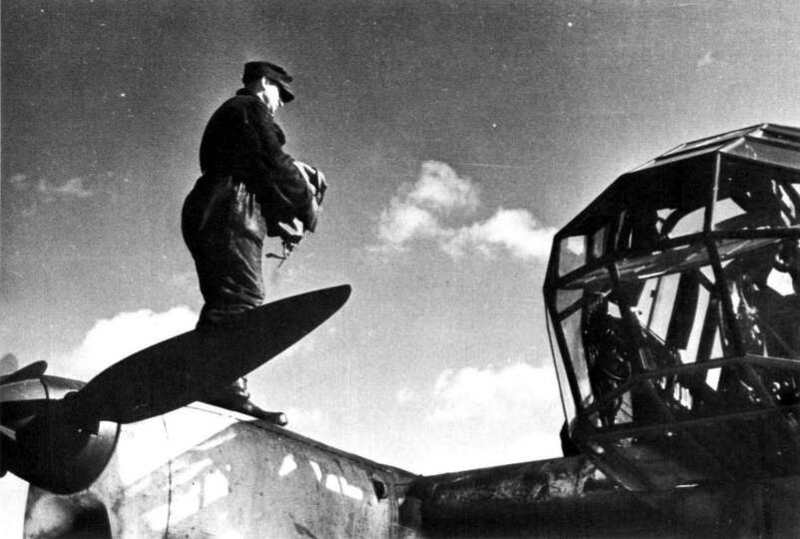 Here a large RB 50 aerial camera is about to be removed from a FW 189A after a flight over Soviet positions. 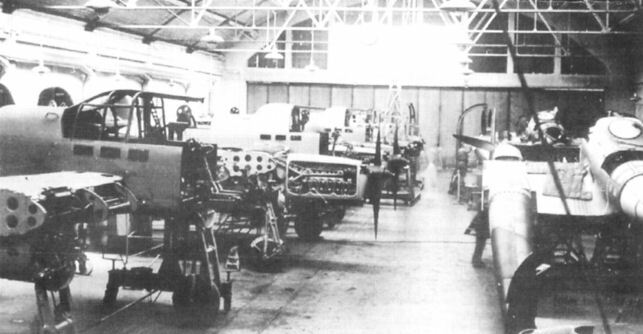 Fw 189B отличался существенно переработанной гондолой и являлся пятиместным учебно-тренировочным самолетом. 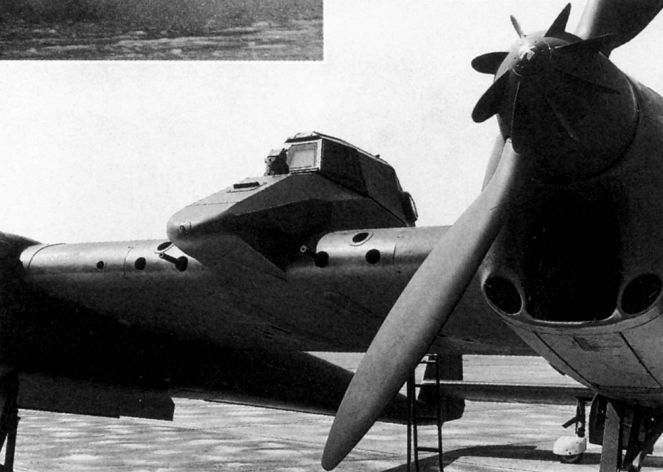 До начала выпуска Fw 189A было собрано 10 серийных Fw 189B-1. 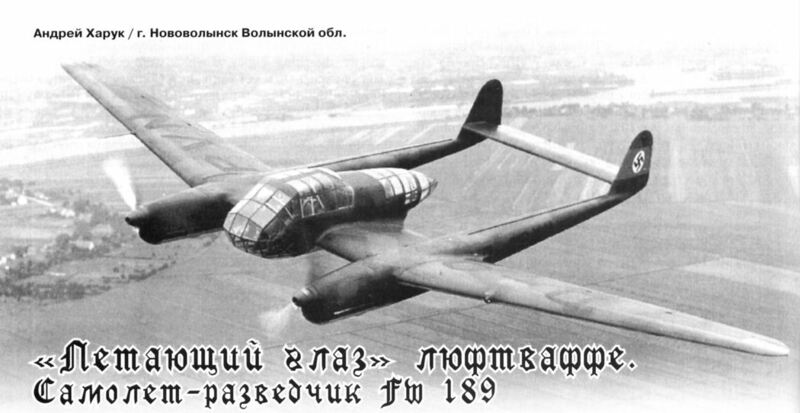 У штурмовика Fw 189 V1b гондолу экипажа заменили двухместной кабиной, практически полностью выполненной из бронеплит. Самолет V6 стал первым прототипом Fw 189C и был в целом схож с V1b, но отличался воздушными винтами с изменяемым шагом и вооружением в центроплане крыла - две 20-мм пушки MG FF и четыре пулемета MG 17. Заднюю полусферу защищали два пулемета MG81. 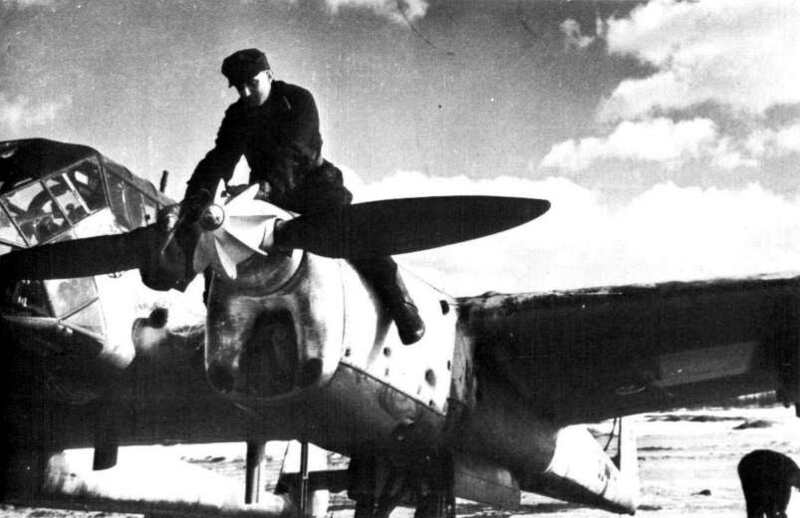 Сборка прототипа Fw 190V1 в опытном цехе завода фирмы "Focke-Wulf" в Бремене, начало 1939 года. 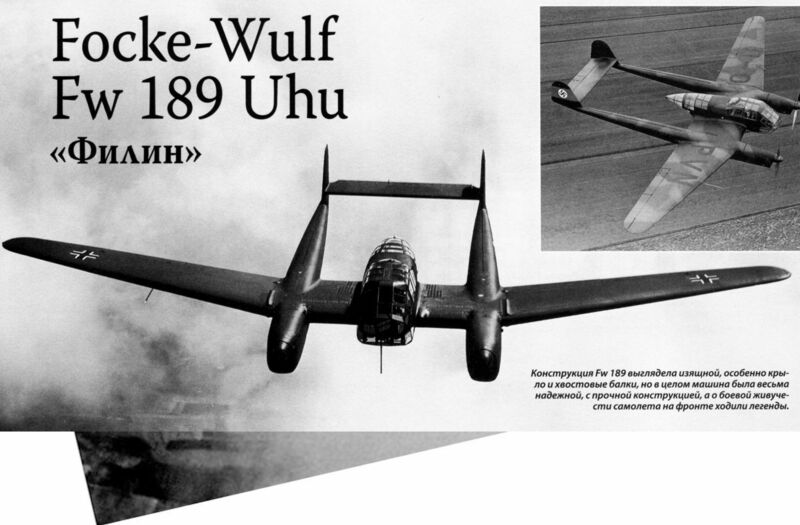 На заднем плане - разведчик Fw 189 Uhu. "Фокке-Вульфы" во время установки двигателей на заводе "Аэро"